It works through statutory community safety partnerships led by local authorities. Each police force has a specially trained Prevent officer who works closely with educational establishments and other public bodies. All teachers, college and university lecturers, support staff have been trained up to be on the lookout for signs of radical Islamic and far right activity. Since the strategy was brought in by the Labour Government in 2006 there have been several tragic events leading to the loss of life and serious injuries on mainland Britain. The actions of Islamist extremists, motivated by hate, have brought carnage to both London and Manchester. Two years- ago a “lone actor” terrorist hit Westminster murdering an unarmed police officer. In 2016 the Labour MP Jo Cox, was murdered by a far-right white supremacist in her home town in the north of England. In 2013 the off-duty soldier Lee Rigby was killed by three jihadis in East London. And more recently both Conservative and Labour politicians have been abused both on-line and in public by extreme right wing and far-left political activists. MI5 estimates that 850 people seen as a potential security threat are known to have taken part in the Syrian conflict, with half thought to have returned to the UK. Yet some believe that Prevent is damaging trust in society. The duty has charged public service officials with monitoring people’s political and religious views. It’s suggested that Prevent has eroded civil liberties, demonised Muslims and bolstered religious discrimination. True, hate crimes against Muslims did soar by 70 per cent in 2011 to 2014. 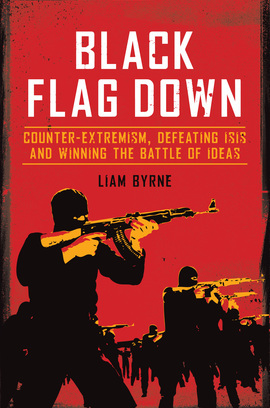 For Liam Byrne in his book ‘Black Flag Down’ (2017) this has contributed to a climate of intimidation amongst some ethnic groups. Muslims constitute 5% of the population, yet Home Office figures show that 67% of those referred for suspected ‘radicalisation’ in 2014, were Muslim. Civil libertarians maintain that Prevent is not making our citizens safer. Rather it’s fostering an atmosphere of insecurity while stoking up Islamophobia at a time when the far-right is on the rise both in the UK and across Europe. For the Conservative Peer Baroness Warsi some in the Asian community are perceived as “the enemy within”. But scrapping Prevent is not the way forward. The stark reality is that Prevent, despite its imperfections, has helped to thwart the level of violent terrorism. Since 2012 more than 1,200 individuals have been referred for concerns related to Islamist Extremism (45%) and 44% to do with right wing extremism. Last year the North East saw a huge increase in the number of people being referred to the anti-extremism programme, with a sharp rise in potential far-right extremists. The region is now second only to London in the number of individuals known as possible terror threats. Between April 2017 and March 2018 Prevent co-ordinators were informed of 1,223 people involved in political extremism. Home Office figures reveal that far-right Prevent referrals went up by 8% in 2017 in the North East and Yorkshire. Newcastle-Upon-Tyne has seen more far-right protest marches than any other place outside the Capital, London. Radical Islamism and the growth of the populist far-right threatens hard won freedoms, democratic values and institutions, liberty, the rule of law and national security. Critics of Prevent have been too quick to label it as some sort of spying operation. This is false. Britain is not a police state. It bears no resemblance to the Communist regimes of the former Warsaw Pact. Prior to the collapse of the Berlin Wall in 1989, one in three of East Germany’s population were Stasi (secret police) informants spying on their own neighbours! Prevent, contrary to popular belief, is a voluntary programme, requiring parental consent. It involves a range of agencies including Special Branch, community safety partnerships like Safe Newcastle, educational establishments, the fire service and youth offending teams. For the vast majority of colleges, schools, apprenticeship agencies, private training providers and local authorities Prevent is all about safeguarding: safeguarding vulnerable people, including students from radicalisation in all its forms. In most cases it’s implemented with sensitivity without alienating any section of the community. 99% of all Muslims in the UK are moderate, law abiding citizens who reject violence. As events in the last few years have testified terrorism is real. Most of it is home grown. It’s not imported from the EU. Neil Basu, Head of Counter-terrorism in the UK notes that more than 23,000 jihadi men and women, some in their teens, are being watched. 18 plots to cause mass murder on mainland Britain have been stopped since 2017, of which 14 were Islamist and four right-wing – the latter involving the banned neo-Nazi organisation National Action. Most fair- minded people fully support the decision to increase the number of security service officers by another 1,900. Of-course strengthening surveillance is crucial. But the government need to take steps to better engage Muslim groups in anti-radicalisation measures delivered through a multi-agency approach. The Government have this month launched a review into Prevent to help shed its toxic image amongst some sections of the Asian community. One important way to tackle potential radicalisation is through learning and training. The government’s FBVs (shared values) programme is being delivered in every school and college in Britain promoting the principles which underpin our democracy. Many experienced teachers and youth workers are prepared to challenge the reactionary ideas of “youthful jihadi apologists’ or far-right supporters of ultra- nationalist groups like the Britain First and the EDL. Other commentators have urged that the Muslim community needs to take ownership of the issue and engage more with the process. Prevent needs to be reformed not abandoned if we’re to win the hearts and minds of Britain’s varied Muslim communities. Maintaining safe, secure and cohesive neighbourhoods in our cities and towns remains the top priority in 2019 and beyond. Terrorism and violent extremism against vulnerable citizens must be crushed.